This is kind of an abstract macro shot. 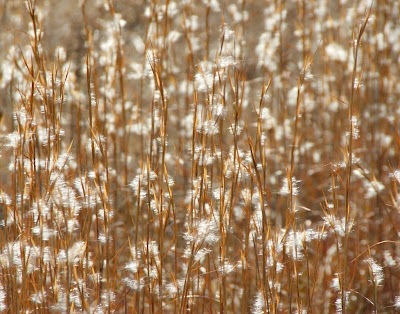 Apparently I have a thing with grass and plants (such as milkweed) when they go to seed. It catches my eye, and when something catches my eye, I photograph it. We're experiencing some very cold temperatures this week (in the negatives... YUCK). Now that the holidays are over, it would be just fine with me if we could just skip right to springtime! I know, I know, I shouldn't wish the time away, but I don't like winter much at all. 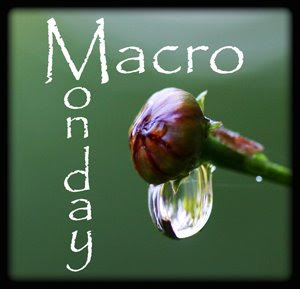 Love your abstract macro! I love seed heads too, and they're particularly attractive in the frost and snow, aren't they? I love milkweed too and it always catches my eye to photograph. Your macro is so good here. Neat perspective. You've must have sat right down in the field to get it! Very nice photo especially the larger view. A little snow on Christmas Eve so Santa can arrive ~ then on New Years Day it should be in the upper 60s. That's my kind of winter! We received 2 feet of snow last week. ugh! That has an ethereal feel to it. Very pretty! I'm pretty tired of winter already, but you guys are having really colds!